19 LISTS Bob's BurgersLists about the Fox animated series about Bob and Linda Belcher, their three kids, and the family burger joint they all help to keep running between disasters and songs. List Rules Vote up your favorite funny Tina Belcher moments. There's a reason why Tina Belcher on Bob's Burgers is one of the most beloved cartoon characters in recent memory. She's not only the heart of the show, but she's basically the brain, the spine, and the kidneys as well. 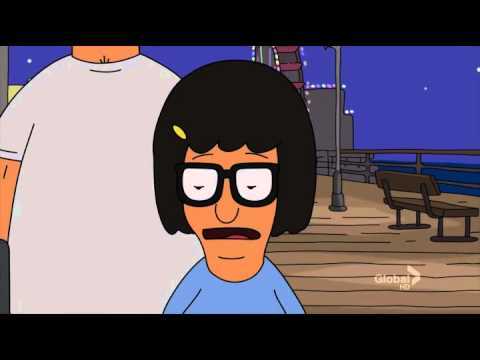 Tina is the funniest of Bob's progeny, and maybe even the most popular Belcher. She's an even more instrumental part of the show than the burger pun board. Without Tina, there would be no Bob's Burgers, and the world is a much better place because of the funny Tina Belcher moments that inspire the whole world to laugh, cry, and really think. Below is a list of the best Tina moments on Bob's Burgers, so take a look and revel in Tina's glory. No other character in animated history has been so in tune with how young people think. Was this a great moment? When she discusses matters of the heart, Tina rivals even Shakespeare himself in her sophisticated eloquence and nimble wit. Gene doesn't know what he's talking about. Who wouldn't want to be Tina? To be fair, that's probably the question everyone would all ask a mermaid if they ever had the opportunity to meet one.